CHARLES J. 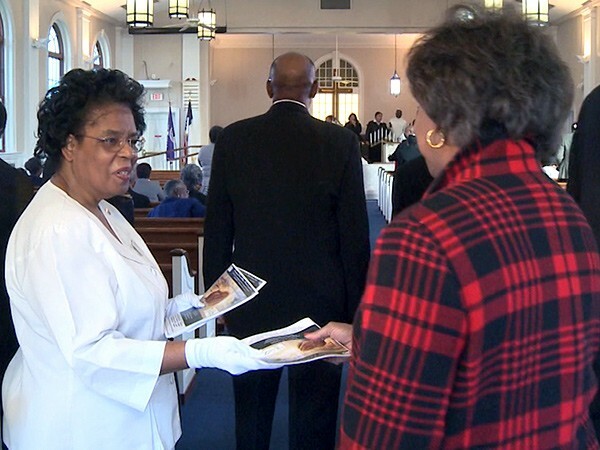 BROWN (Hemingway Memorial AME Church and National United Church Ushers Association of America, Inc.): The ushers normally arrive at least a half-hour before the beginning of the service. The ushers serve as the forerunner for the service. In essence, they prepare the church for the parishioners. They would place the bulletins in the proper places, especially on the choir loft or the pulpit. They would check the pews to see if there are collection envelopes available. Once the service starts everything is in place for the parishioners and the guests. Hemingway is part of the National United Church Ushers Association of America, Inc. We practice or train at the school of ushering. We only use signs and signals to communicate in the service. There’s very little talking going on among the ushers. Once the parishioners arrive at the church, they’re greeted by an usher at the door with a smile, welcoming them to the Hemingway Church and extending to them a program and offering them a seat. It is important to have a certain personality or demeanor that will be inviting to that parishioner or guest because you never know who is coming in through your doors, and the first person that they meet will be an usher. Once service starts, we try to seat all visiting guests or any parishioners toward the front and move toward the back so that any late parishioners or guests which arrive do not necessarily disrupt the service by going up to the front. We normally have ushers in the aisles from 15-20 minutes, depending on the number of ushers you have serving that day. Because of our aisles are narrow, the ushers turn their backs to the wall to allow for the relieving usher to come to stand behind them. Being a church usher is important because an usher keeps order and decorum within a service. As an usher you just need to be focused and always cognizant of what’s going on in the service. I don’t know if anyone who has attended a service would actually notice that when an usher is on duty and even when they are going through the prayer position, their eyes are never closed. They always have their head bowed but they are always surfacing the congregation because you never know when someone may be ill or some other incident may be occurring. And it is your duty to protect that congregation. Being an usher on duty and being also a parishioner, to me, is a dual function. It’s not unusual to see an usher who is on duty to get involved in the service because the spirit will flow anywhere at any time. You always have to be cognizant as an usher in the aisles, so you try not to be overwhelmed. However, if you’re overwhelmed by the spirit, there’s nothing that you can do but just let it go and just let the usher in charge send a relief down to your position. I am an usher because God has given me that talent, and he also has given me a blessing to be a blessing to others. 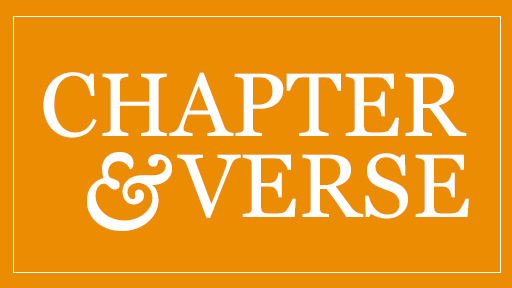 We provide an inside look at the spirit and discipline of some highly trained ushers who are much more than church doorkeepers. 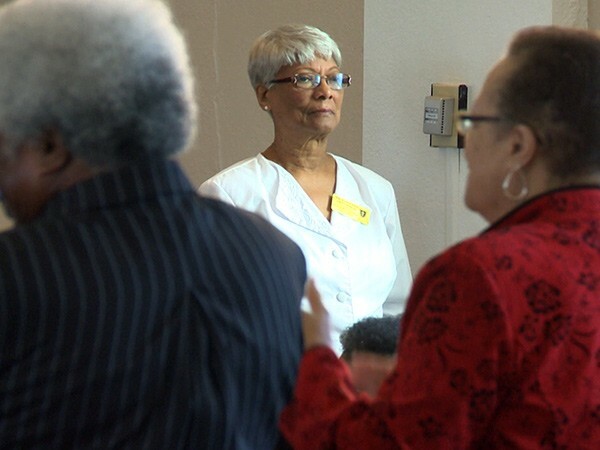 The men and women who serve as ushers at Hemingway Memorial African Methodist Episcopal Church in District Heights, Maryland help create the mood for worship. 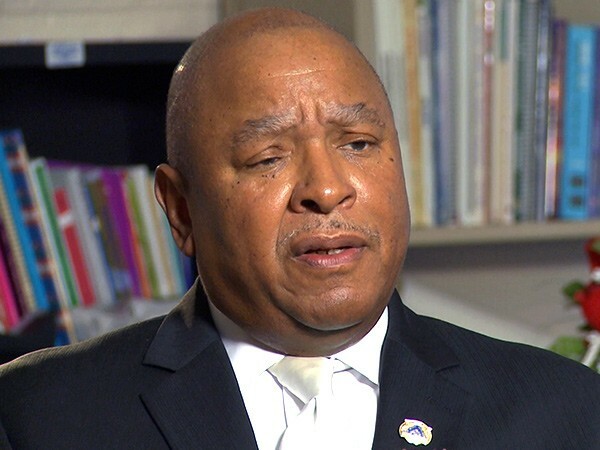 Interdenominational Church Ushers’ Association of Washington, DC and Vicinity, Inc.